Violinist Ruotao Mao is an active soloist, chamber musician while holding numerous concertmaster posts in the tri-state area. His playing was described by The Classical New Jersey as "virtuoso display of world-class magnitude." and "The level of playing has reached far beyond mere technical competence." A native of Beijing, China, Mr. Mao graduated from the New England Conservatory of Music with “distinction in performance” award. He earned his Master Degree in Music from the Mason Gross School of the Arts where he studied under violinist Arnold Sternhardt of the Guarneri String Quartet. He also studied with Dorothy Delay, Paul Kantor and Masuko Ushioda. As a chamber musician, he is one of the founding members of the former Beijing Piano Quartet, winner of “Artists International Chamber Music Series” with appearances in Weill Hall of Carnegie Hall and Alice Tully Hall of Lincoln Center and also the highly acclaimed Amabile String Quartet, the quartet-in-residence at Rutgers University(2000 and 2001). As a soloist, he appeared with orchestras such as the Jupiter Symphony, NEC Symphony, Corelliard Chamber Orchestra, the Brunswick Symphony Orchestra, Riverside Symphonia, Edison Symphony, the Philadelphia Virtuosi Chamber Orchestra, Bay-Atlantic Symphony, Arcadian Symphony Orchestra and Rutgers University Orchestra among many others. In 2004, Mr. Mao premiered a violin concerto by Ernie Stires in Stern Auditorium of Carnegie Hall. He had performance tours in Korea and Colombia, South America. He performed on WNYC, WETS and WDVR-FM broadcasts and is a recording artist for the CRI and Beijing Broadcast Labels. 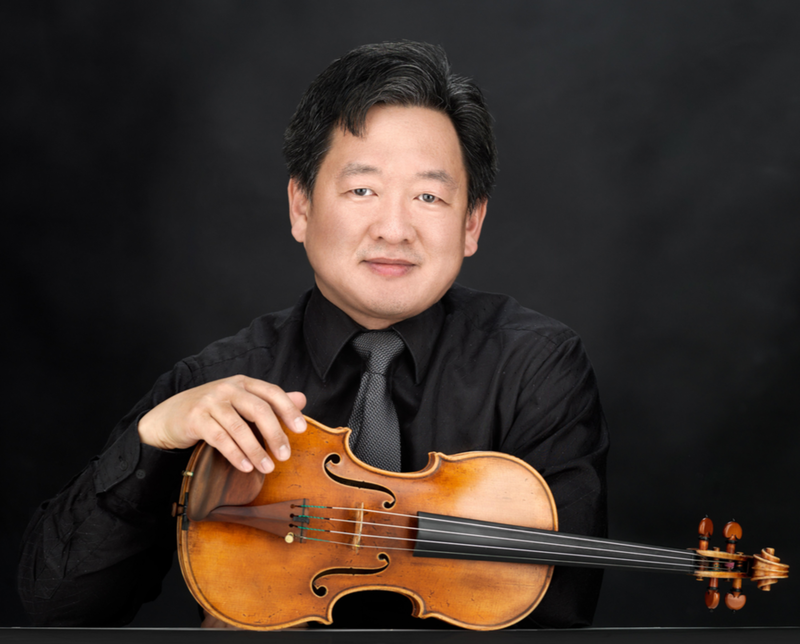 Mr. Mao also serves as the concertmaster of the Delaware Valley Philharmonic Orchestra, Riverside Symphonia, the Bay-Atlantic Symphony and most recently, the Glimmerglass Opera Orchestra. Mr. Mao has taught violin and chamber music at The College of New Jersey and Princeton University.